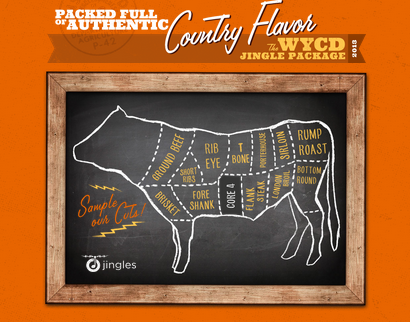 Born from a hunger for authentic country flavor, the WYCD 2013 package combines the finest grass-fed Nashville session players with a healthy dose of ReelWorld’s signature grain-finished production. Top that off with a splash of smokey-sweet organic vocals and you’ve got the boldest, beefiest country jingles your eardrums have ever tasted. ReelWorld also announced that current WYCD package owners can get an upgrade for free. The package is also available in solo versions.